Dangerous weather conditions are often the main cause of property damage. Due to their structures, trees are most vulnerable whenever a storm hits. Due to the way their leaves and branches are huddled together, they tend to go against the strong winds and this causes some trees to fall. 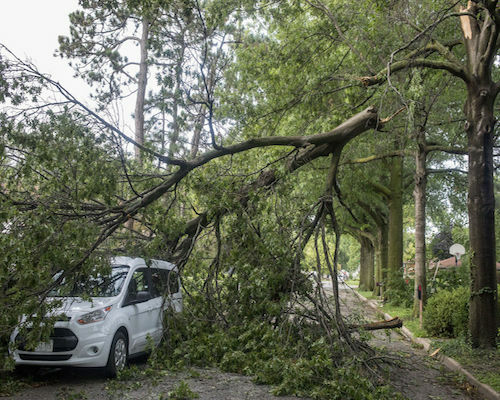 Trees that fall during storms can land on roads, properties, cars, power lines, and worst of all, on people. It is best to take preventive measures whenever there is a storm threatening to hit your area. One of the things you can do is to remove dead trees because they are likely to fall during storms. Damage to properties, injuries, and even death can be caused by natural calamities. This is the reason why we offer a 24/7 emergency service so we could help people during times of natural calamities. We know how hard it could be for people to deal with the fallout from a storm. This is the reason why we train our team not only on how to deal with the projects but also on how to deal with people in distress as a result of the storm. 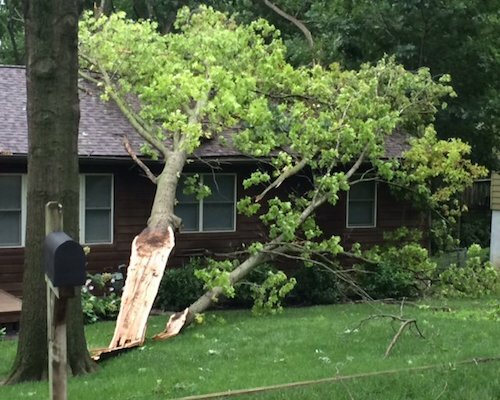 Our goal is to ensure your safety by removing fallen trees and other debris. In some cases, we are able to prevent damage to homes by removing trees on the verge of total collapse. Moreover, there were cases where we removed fallen trees from already damaged properties in order to prevent further damage. It is always a good practice to do everything you can to prevent a disaster from affecting you. The same with installing an alarm system for your home, car and business, isn't it a good preventive measure to have the trees in your property checked? We suggest you do this by having one of our experts examine your trees to ensure that it's healthy enough to withstand high winds – it may very well be the savior of your home and property in the event that a big storm hits your area. One of our assessors will come to your property to assess the situation, provide a quote, and discuss the work details with you. Assessment would include identifying the dangerous debris lying about in your landscape. Our main goal is to protect your property from incurring further damage so depending on the state of your property, we may need to coordinate and work hand in hand with your utility and insurance companies. 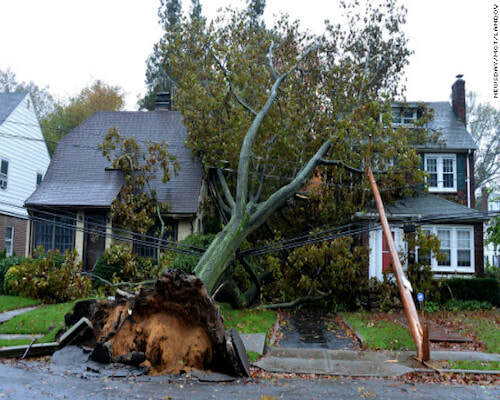 We will practice careful removal of damaged trees, hazardous debris, damaged tree stumps, and all the fallen branches. Our 24/7 emergency response team specializes in these kinds of projects. We are licensed and insured making us the choice option for any emergency tree servicing needs.